The work of two world-famous architects combine to produced New Britain’s World War I monument and surrounding grounds, Walnut Hill Park. 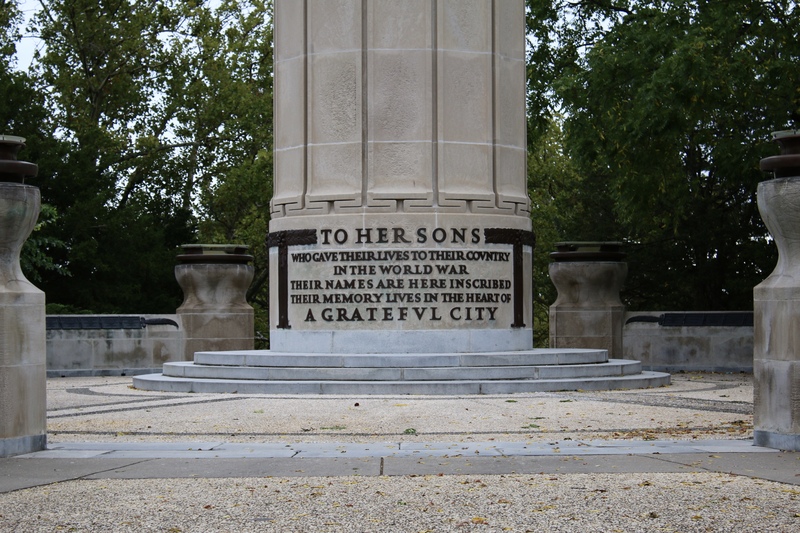 The monument, a 90-foot obelisk dedicated to the 123 New Britain residents who died in World War I, was designed by architect Harold Van Buren Magonigle. Two years earlier, he created a similar obelisk-shaped WWI monument in Kansas City, Mo., in 1926. The park was designed in 1870 by Frederick Law Olmsted Sr., who is best known for designing Central Park in New York City, among other urban parks. In August 1922, the New Britain Common Council agreed that the temporary WWI monument from 1919 was inadequate and that a “permanent memorial that would be a lasting reminder of the sacrifice made by the boys of New Britain who gave their lives in defense of their country” was necessary, according to the booklet produced about the monument by the city. The original memorial was on a road in the park. The monument is significant to New Britain residents, according to Patricia Watson, head of Adult Services at the New Britain Public Library. Watson has studied the history of New Britain and she helps run the local history room in the public library, a collection of information including city directories, general genealogical sources and newspaper clippings dating back to the mid-1800s. There is also a well-tended rose garden near the monument, according to Watson. Many residents and those who work in the area frequent the park. Before the monument was built, there was a large reflecting pool at the top of the hill. It can be seen in historic photos from when the monument was first erected. The reflecting pool was replaced with a smaller fountain in 1990. Veterans in the 1950s complained that the monument was “in bad shape,” according to an article published in the “New Britain Herald,” and that authority to maintain it should be of the Parks Department, which it is still currently. The monument has been restored a handful of times in the past, the first instance in 1979 when workers built scaffolding around it, and cleaned it with chemicals. There have also been cases of vandalism, the most recent being in October 2012, when the bronze knobs and plaques dedicated to the servicemen who died in the war, worth over $20,000, were stolen. Whenever there has been any problem with it, the city has been able to fix it in a timely manner and keep it in good shape, according to Watson.